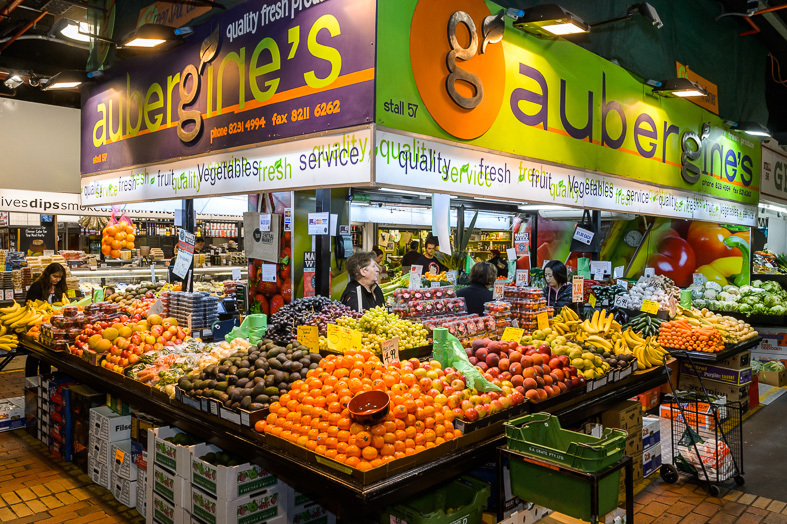 Aubergine's - Adelaide Central Market: The City of Adelaide's premier food destination. Over 70 traders under one roof. We pride ourselves on offering quality fresh produce at affordable prices. Customers can rely on us to source the freshest South Australian grown produce available. Talk to our staff today about the variety of produce available, specialty orders or our fruit platters.